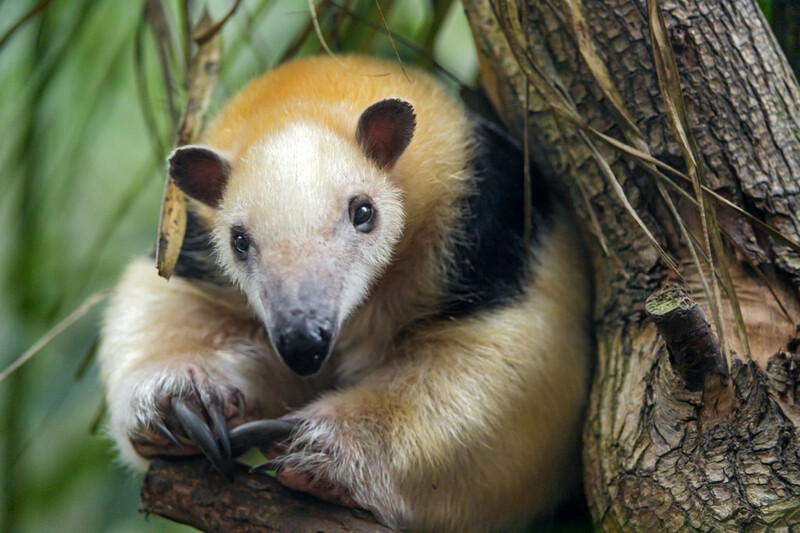 Exotic pet owners—namely owners of uncommon mammalian species—are easy victims of misinformation because their numbers are so far and few between. Many groups that are anti-zoo, anti-pet, and anti-human use of animals in general target any captive animal-keeping hobbyists that they can feasibly convince the public to eliminate, often using half-truths or lie-pushing tactics that are often unchallenged and accepted by the majority. These groups consist of but are not limited to the Humane Society of the United States, Big Cat Rescue, the Animal Legal Defense Fund, and the People for the Ethical Treatment of Animals. Here is just a small sampling of some of the main myths propagated by these animal rights groups, as well as incorrect assumptions the general public tends to have about exotic pets. True exotic ‘pets’ (and even those that are left to their own devices in zoos) are very unique to real wild animals. Technically, no captive animal should be referred to as ‘wild’, which denotes a free-living animal existing outside of tremendous human influence. The major environmental change that makes domestic animals unique to their wild counterparts is human rearing. Animals raised around humans and especially by humans develop differently in comparison to parent-raised wild animals. This rule even extends to dogs and cats, which can simply become wild animals when raised without human socialization. Should dogs and cats reach a certain age without exposure to people, the effect is nearly irreversible. This is why shelters often euthanize feral cats instead of adopting them out. Essentially, when someone says something is a ‘wild animal’, they are talking about instincts. The line between ‘domesticated’ and ‘wild’ behavior is completely arbitrary. People often describe ‘wild’ behaviors as roaming, hunting drive, and aggression—traits all domesticated species exhibit. Some dog breeds were specifically bred to enhance these instincts for human benefit. Many dogs and cats in our society have also been reproductively altered, which decreases their ‘problematic instincts’ like feline spraying or canines desperately tearing up your fence to reach a female in heat. People might be giving credit to selective breeding for tamer, non-roaming pets when some of it belongs to invasive surgery. In pretty much all domesticated species, the trait they share in common is a reduced flight response and fear of humans (although human-rearing is still a pre-requisite), but their instincts remain intact, only softened by extent due to lower stress hormone secretion, in general. Many domesticated animals are ideal for living with humans because their ancestral wild forms were better suited for this as well. Where people have gotten the idea that domesticated animals don’t have instincts or ‘wild’ behaviors, I will never fully understand. 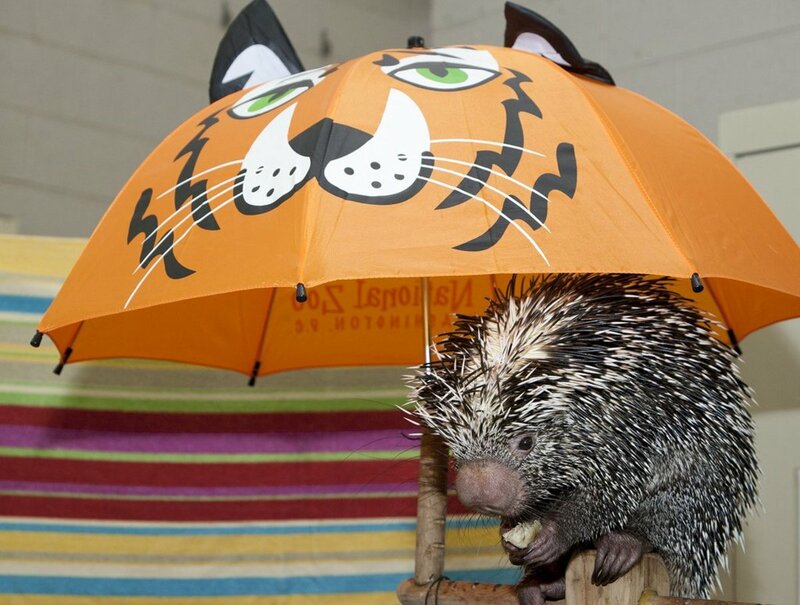 Domesticated and wild or exotic animals are not as different as you might think. Why saying "wild animals are dangerous" is completely illogical. 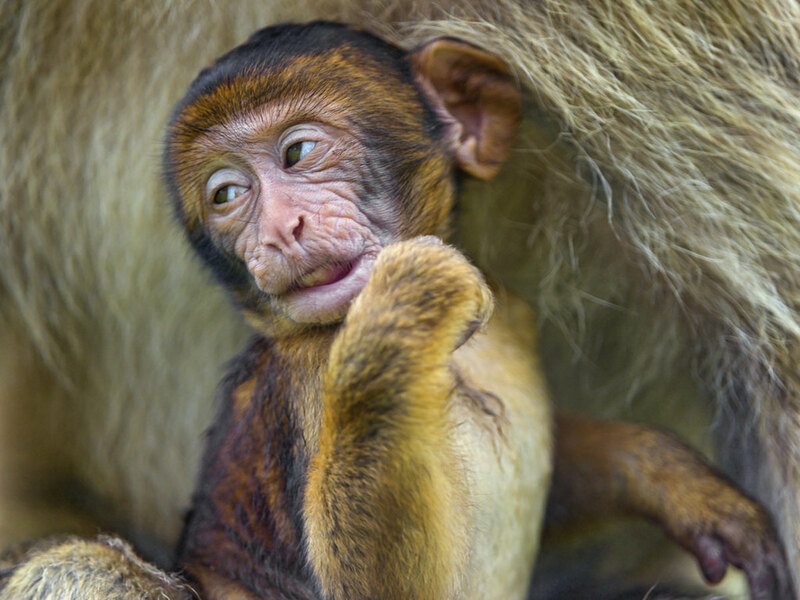 Many people who are unfamiliar with keeping exotic pets often think it must be illegal. The truth is, all states have a ban on something, but in every state, there are at least a few legal species of ‘exotic’ pets and in most states, and this legality might extend to something exciting and nontraditional. 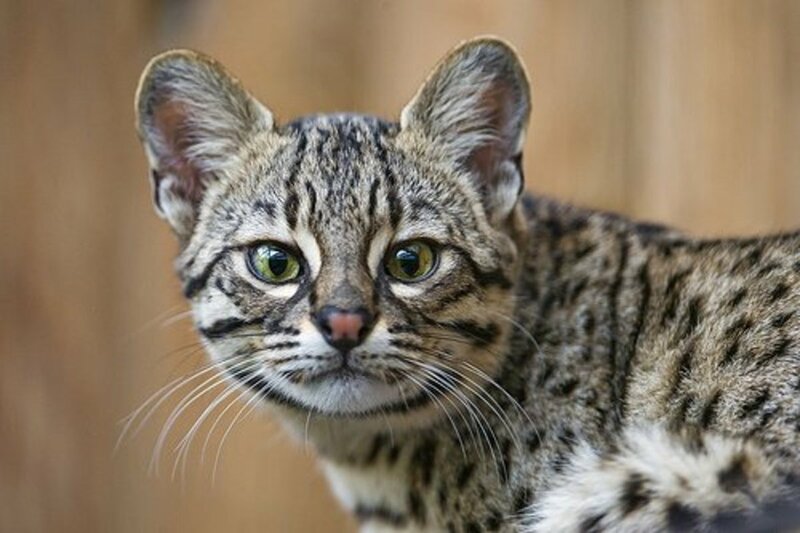 For instance, while New York State has banned many species including non-domesticated canids, felids, and all bears, unnamed exotic animals like spotted genets and capybaras are legal. Only California and Hawaii have extremely extensive and unreasonable bans on nearly every exotic species except birds. In CA, you can keep atypical birds like toucans and other softbills, but don’t count on any mammals without a hard-to-acquire permit. So when someone says an exotic pet is ‘legal’, that is useless information as it depends on the state, city, town, and neighborhood before you can delve into this exciting lifestyle. What Exotic Pets are Legal in the United States? 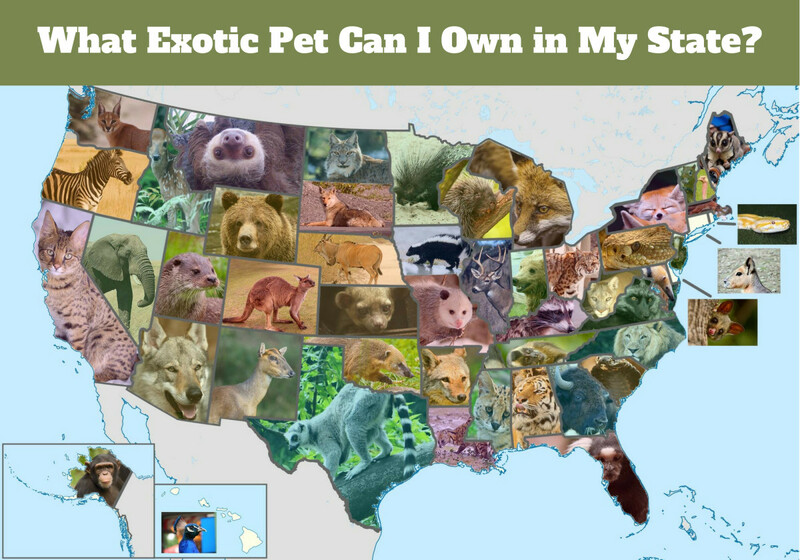 A summary of exotic pet laws and discussion on which states prohibit the private possession of specific exotic animal species, including monkeys, tigers, raccoons, birds, wolves, and others. Special interest animal rights groups often cite how large the legal (and illegal) wildlife trade is, and how it’s a ‘billion dollar industry’. They will claim that exotic pets are taken from the wild to supply the U.S. pet trade, and again, that is a half truth, although collecting from the wild is not wrong when done sustainably. 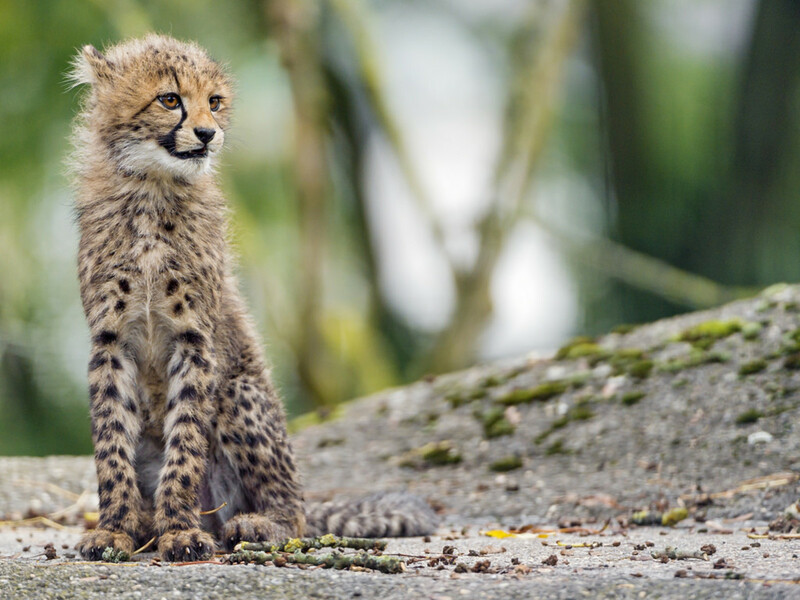 Because ‘exotic pets’ consist of a tremendous amount of species, a significant portion of animals are bound to have a presence in the wildlife trade. Animal rights groups want you to assume it’s most or all of them, but actually, exotic mammals, and particularly the less ‘mainstream’ animals that are sold as pets and are undoubtedly the most controversial, are rarely or never found in illegal animal seizures and are typically not imported to the United States for the pet trade. By a large margin, reptiles are the most commonly imported taxa (most often from Southeast Asia) internationally, and in 2000-2006, marine life (fish and cnidarians) made up the greatest proportion of legally imported animals in the U.S. (Smith et al., 2009). Wildlife, dead and alive, are also imported for ‘traditional medicine’, skin products, ornamental purposes, and food (Schlaepfer et. Al, 2005), which forms the biggest part of the ‘wildlife trade’ and has nothing to do with exotic pets in the U.S., although the term is often used interchangeably. Between July 1996 and 2008, 6% of wildlife (live and animal parts) seizures from the illegal trade occurred in the United States, and 69% of the live animals that were seized were reptiles (Rosen and Smith, 2010). In the United States, reptiles are primarily imported for the pet and skin trade (Schlaepfer et. Al, 2005). The most controversial exotic pets of all, larger mammals like tigers, foxes, and bears, are rare or non-existent in the illegal pet trade destined for the U.S. The size of these animals is likely a factor, as well as demand. Popular animals threatened by the pet trade like slow lorises are often sold in their country of origin and Asia. Numerous species have been successfully captive-bred in the U.S. and have eliminated the need to take animals from the wild. 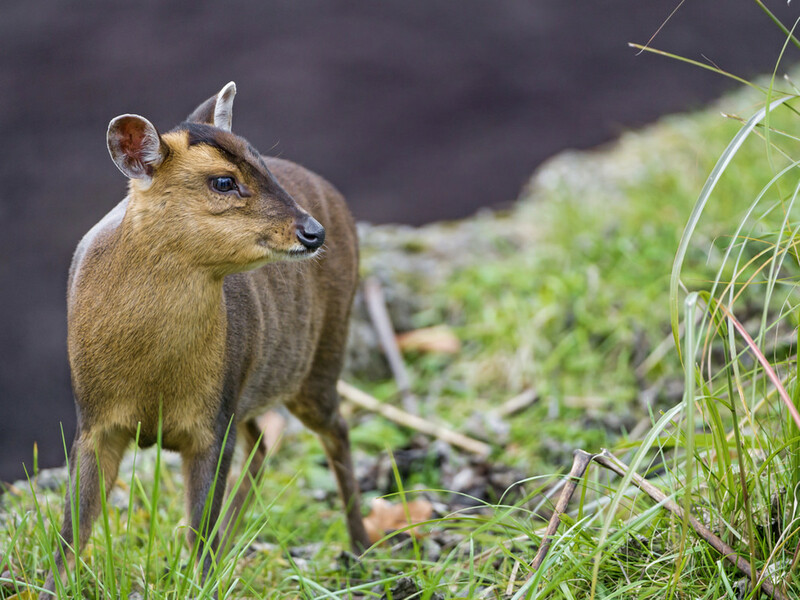 Most exotic pets, with the exception of marine life, can be assumed to be either captive bred or ranch-raised in another country, especially if it’s a species not native to South East Asia. Exotic mammals like fennec foxes, coatimundi, and kinkajou are normally obtained from smaller zoos and licensed breeders. Garner, T. W., Stephen, I., Wombwell, E., & Fisher, M. C. (2009). The amphibian trade: bans or best practice?. EcoHealth, 6(1), 148-151. Hoover, C. (1998). The US role in the international live reptile trade: Amazon tree boas to Zululand dwarf chameleons. TRAFFIC North America. Rosen, G. E., & Smith, K. F. (2010). Summarizing the evidence on the international trade in illegal wildlife. EcoHealth, 7(1), 24-32. Schlaepfer, M. A., Hoover, C., & Dodd, C. K. (2005). Challenges in evaluating the impact of the trade in amphibians and reptiles on wild populations. BioScience, 55(3), 256-264. Smith, K. F., Behrens, M., Schloegel, L. M., Marano, N., Burgiel, S., & Daszak, P. (2009). Reducing the risks of the wildlife trade. Science, 324(5927), 594. This is one of the most foolish myths on the list. Without a doubt, people often feel better when an exotic pet owner or zookeeper has a fancy degree in the natural sciences. People with captive animal-related occupations often talk about why they are ‘qualified’ to go about their privilege of working with exotic animals or even being lucky enough to be granted a permit to keep them in their homes for their ‘educational’ outreach programs. Even I flaunt my useless bachelor’s degree in biology when emailing legislators about banning exotic animals as pets; why? Because it helps laypeople take my opinion seriously (presumably) in comparison to a merely ‘self-interested and ignorant’ exotic pet owner with no ‘credentials’. Being a vet, possessing a PhD in animal science, or even being a well-travelled ‘environmental conservation officer’ DOES NOT make a person better suited to be an exotic animal caretaker or even any pet caretaker for that matter. They do however, show potential employers or permit-granters 'hey, I really care about this. I sat in a class room to learn about loosely related information on the subject'. Scholarly training rarely, if ever, teaches students the appropriate long-term care of personally owned animals but more importantly, animal care ability is more of an innate trait rather than something you read in a book. Of course, the technical aspects are required, such as reading about the animal’s needed nutrition, caging, and temperature needs, but this information is readily available to anyone thanks to the internet. Caretakers merely need the ability to empathize with another species, competence in deciphering information and seeking it out when necessary, and a non-reckless attitude when it comes to the safety of the public and your own. The next critical step is experience. No amount of literature will be an appropriate substitute for hands on exposure to animals, and having them as pets is probably the best way to do this…working at a zoo being a close second. Many respected people who found and run zoos, sanctuaries, or educational centers…whatever you want to call them...have no formal education in the sciences. Also, her husband bought her a zebra as a Valentine ’s Day present, so like many, she started out as an exotic pet owner. The founder of Big Cat Rescue invested in real estate, got rich, and bought several bobcats from a fur farm before acquiring large exotic cats as pets. So while humans have an inherent need to categorize who should do what before moving form step A to step B, it is never that cut and dried. Maybe in the past this was true, but for as long as I’ve been monitoring the exotic pet trade, large and dangerous carnivores are rarely offered to ‘just anyone’. While big cats, bears, and other dangerous animals can be found for sale online (although many websites, like ‘buytigers.com’ are fake) most of them only offer animals to USDA-licensed facilities. In most states, these licenses are not granted to pet owners (unfortunately). This is also the case for subscription services like Animal Finder’s Guide (which I subscribed to for a year). The one or two cases where I’ve observed a large carnivore for sale without specifying USDA-only may or may not have been offering the animal to any causal buyer. This is an overestimation with an agenda. While I wouldn’t actually be phased by the number of animals (I’m more concerned about whether or not they’re in good homes), this large figure was proposed by ideologically-drive interest groups to scare legislators into regulating privately-owned big cats and other exotics. While no one truly knows what the real figure is, more reasonable estimates are much lower. "So where did this tiger census come from? And why did they all say something slightly different? In 2010, I asked several organizations how they came to their tiger estimates via email. Both PETA and National Geographic returned my inquiries and referenced the Humane Society of the United States (HSUS), a well-known animal-rights organization that opposes exotic pet ownership (HSUS, 2010). The HSUS told me they got some of their information from the USDA, and that it was also “common knowledge”. The USDA said that they did not come up with this number, and got what information they had on national captive tiger populations from the HSUS. The AZA never returned my email, nor did the In-Site. To me, it was apparent that there was never a study undertaken to find this number of tigers, and no one really knew where this estimation of 20,000 tigers originated. It seems reasonable to conclude that it was something someone (most likely from the HSUS, since many fingers point that direction) said in an interview as an estimation." There are also approximately 300 tigers known to live in Texas, as a limited study performed by the Feline Conservation Federation discovered, contrary to the popular claim that there are 2000-5000 tigers living there alone (Tegeder, 2015). Because of certain unknowns, the aforementioned special interest groups have 'invented' many claims to suit their ideological goals and many of them do not have a basis in fact. 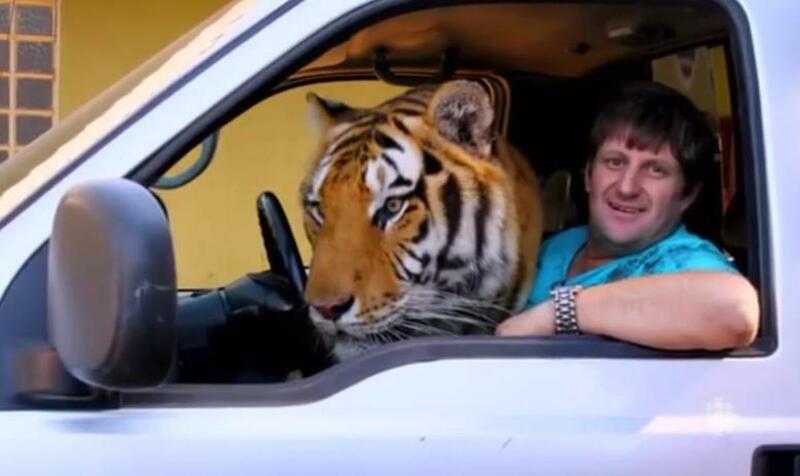 Saying exotic pets are dangerous is like saying sports are dangerous. There’s basketball, badminton, rugby, gymnastics, and golf, which all present different (or zero) levels of ‘danger’. Exotic pets include tigers, muntjac deer, dwarf hamsters, kangaroos, and anole lizards—therefore this argument alone debunks the foolish notion that an animal carrying the ‘exotic’ label should be feared. Some people like to spread hysteria about the diseases that even tiny exotic pets can carry, but the truth is that all animals can carry disease. Dogs and cats have isolated incidences of spreading some severe zoonotics to people just as exotic pets do. 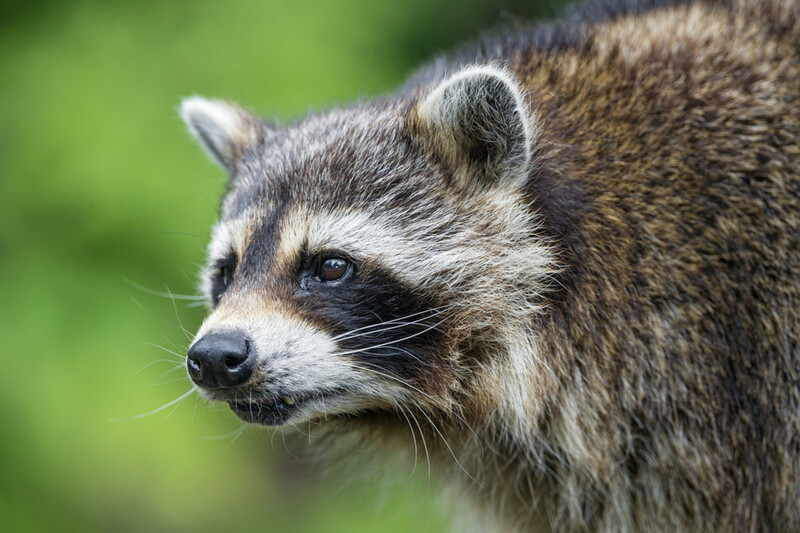 And despite the fact that rabies vaccines are only available for a few domesticated species, they are also the only species found with rabies (mainly feral cats) outside of true 'wild' animals in the United States. Of course, dogs and cats are two species, and exotic pets include hundreds of species, so it is true that together, they form a bigger disease threat compared to two species, as a higher number of unique vectors increase the variation of pathogens. This is just common sense. All animals should be judged on a species-specific basis instead of what ‘groups’ they are assigned to. The large majority of special interest groups oppose exotic pet ownership because they feel it is wrong, that animals do not ‘belong’ in captivity, and that pet owners cannot meet the needs of non-domesticated animals, making it ‘cruel’. 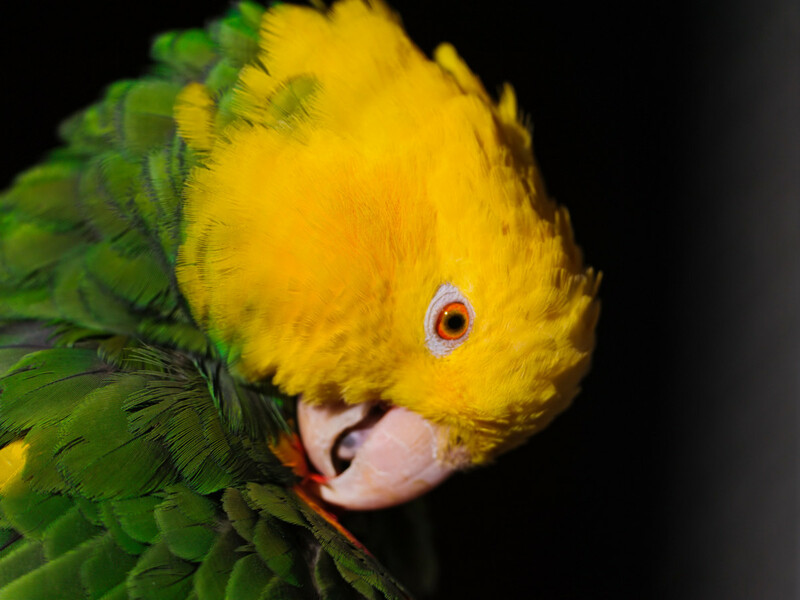 These groups ALWAYS declare that exotic pets are ‘dangerous’ when they talk to legislators, and the welfare of the animals often becomes a side note. Why? 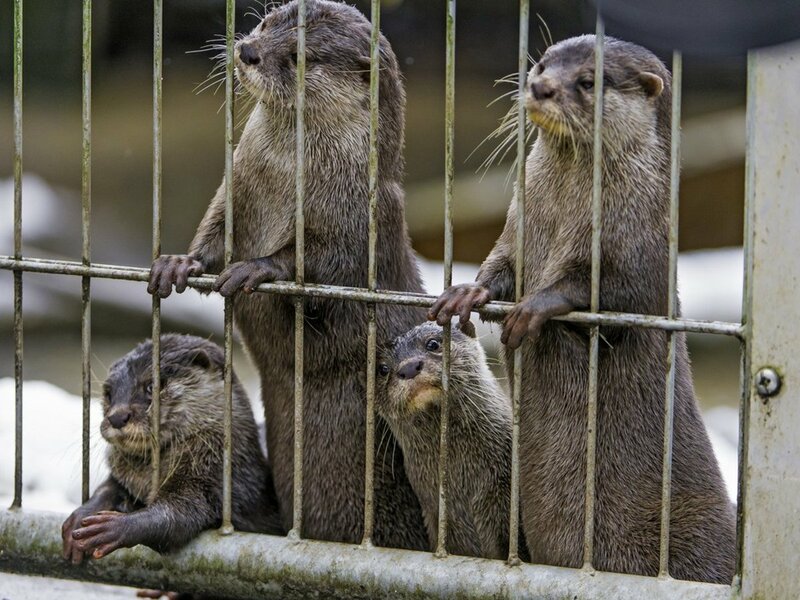 They are fully aware that their lies about all exotic pets suffering in captivity will be ignored, but fear-mongering about tigers running loose in playgrounds and giant snakes creeping through apartment walls gets the attention of law makers. Nearly all anti-exotic pet legislation always specifically name PUBLIC SAFETY as the reason for banning species. Animal rights groups do not care about the safety of humans, and if they did, they would take up interest in other matters regarding public safety and health. It doesn’t take a rocket scientist to realize that public safety is always employed as a ruse so anti-pet groups can get their way. If conservation benefit was a requirement to justify owning a pet, dog and cat owners would be the first to go. Private keepers are not bound to pleasing visitors, as they typically have none. 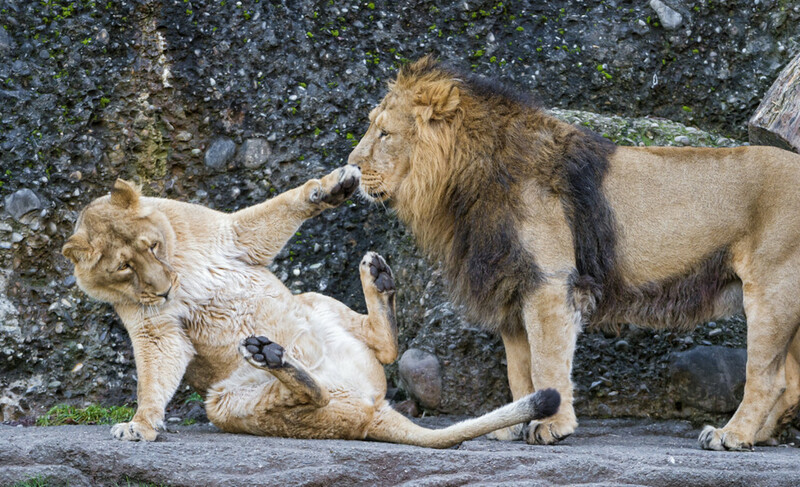 Some private keepers have pioneered animal husbandry techniques that zoos now use. Private keepers have had considerable success with various reptiles and have contributed valuable knowledge for the preservation of those species. 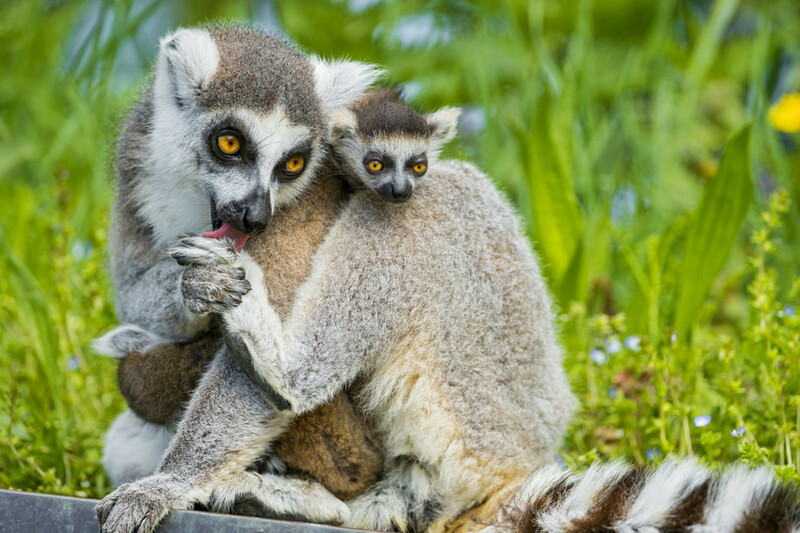 Private facilities are not just a good supplement to zoos, they could be essential. Initially, my motivation to keep pets is for personal enjoyment, but education and conservation benefits have the potential to be a byproduct, which is more than can be said for the ownership of domesticated animals. What qualities do you look for in a pet? If you want a pet that requires very little maintenance and attention, a beginner species of snake is for you, and that just so happens to be an exotic pet. If you want a social companion you don't need to walk and you're allergic to fur, a parrot might be a suitable match, and this is also an exotic pet. If you want something unique, a dog or a cat will rarely suffice. The truth is, there is no such thing as a 'bad pet', outside of species that do poorly in captivity. What many people cannot seem to understand is that most exotic pet caretakers enjoy some of the challenges associated with them. 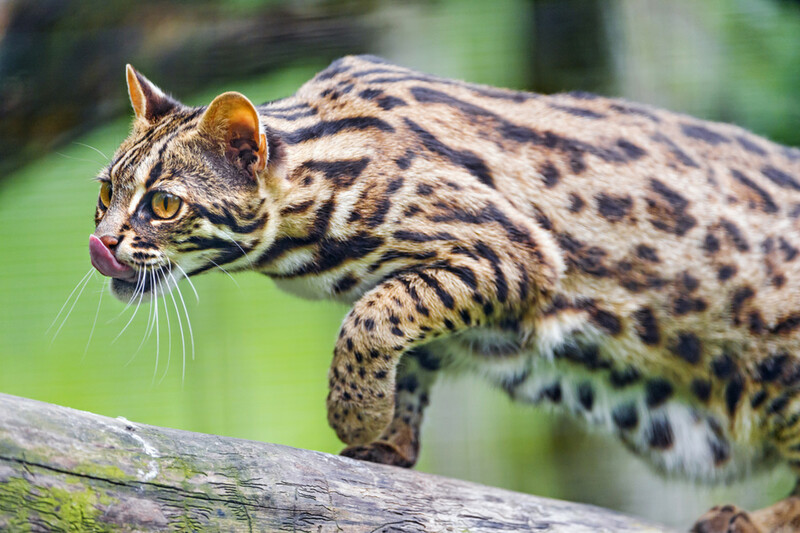 While some people might cry foul if a pet bobcat sprays on their furniture, a good exotic pet owner will wipe it with a cloth and consider customizing the room with easier to clean surfaces. No one can tell another person what a 'good pet' is for them if they are willing to sacrifice certain conveniences and comforts in order to enjoy living with an extraordinarily unique animal. 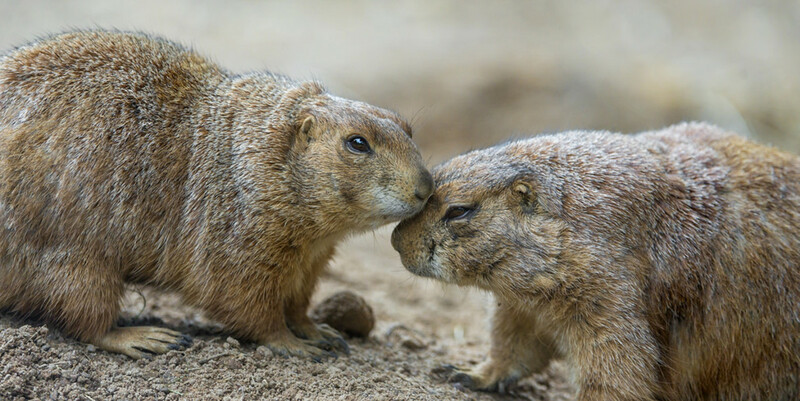 When animals are reproducing readily and living two, or three times longer than they do in the wild, the chances that their well-being is sufficient is high. I'm personally against keeping exotic cats cause they have to take them away from their mom to make them "bond" with people to bottle feed them. Do you know how dangerous this can be to the animals health? I raise domestic kittens they are more likely to get very very sick without their mother care it's the same for exotic cats. And personally if you have to take an animal away from it's mom to make it "tame" it's not the best idea for you to be keeping it. And a lot of owners get them when their tiny and cute then realize their big and expensive and want to get rid of them. Then people readily keep them in terrible cages and expolit them. 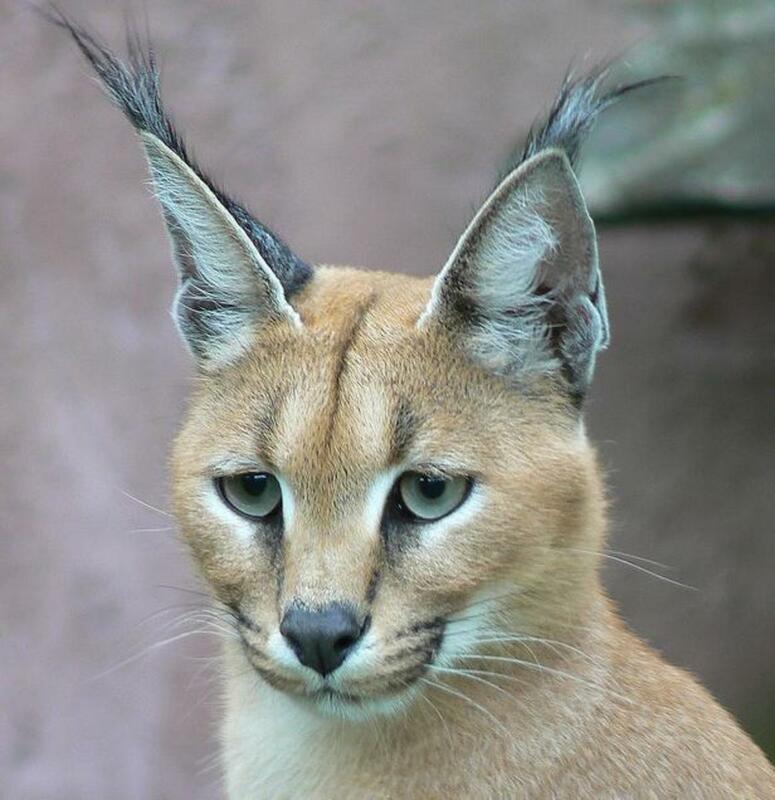 Then there's hyrids to get a F1 usually the wild cat will kill their mate very frequently and they often have health problems because their freaks of nature. And the 20,000 number I think is that outrageous since you can go online pay 2-3,000 and get yourself a big cat cub. Then there's some places you have to register but people don't do that all the time therefore illegally keeping the animal. Exactly! Exotic Animals are being picked out simply for the title they hold. You want to say that owning exotic animals is selfish? Most people genuinely care for these creatures, and that is why they give them homes. 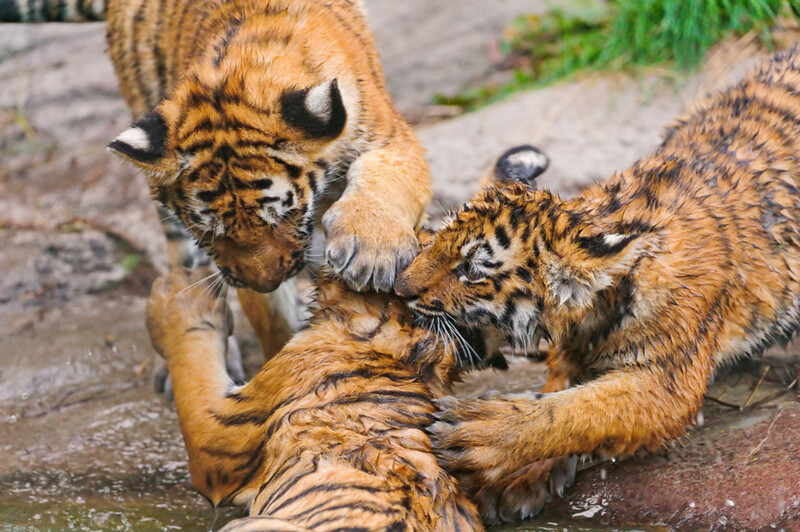 There are more tigers in captivity than in the wild and they are going EXTINCT due to habitat loss and poaching. Go preach elsewhere about the 'selfishness' of exotic animal ownership. Owning dogs, cats, birds, fish, etc. is SELFISH in itself. Building our stores, restaurants, nail salons and other LARGE businesses on top of the habitats of other creatures is selfish. In fact, we don't need home as large as we have in order to survive. We actually don't need homes at all. Did you know that you obtain more energy from eating plants than animals? Plants obtain their energy directly from the sun and are able to pass more energy on. Eating plants makes you feel better, and does more for your health. Why would you eat meat knowing that it's unhealthy and selfish? No you didn't, your comments were fine. Indeed, they have been domesticated for over 2000 years. 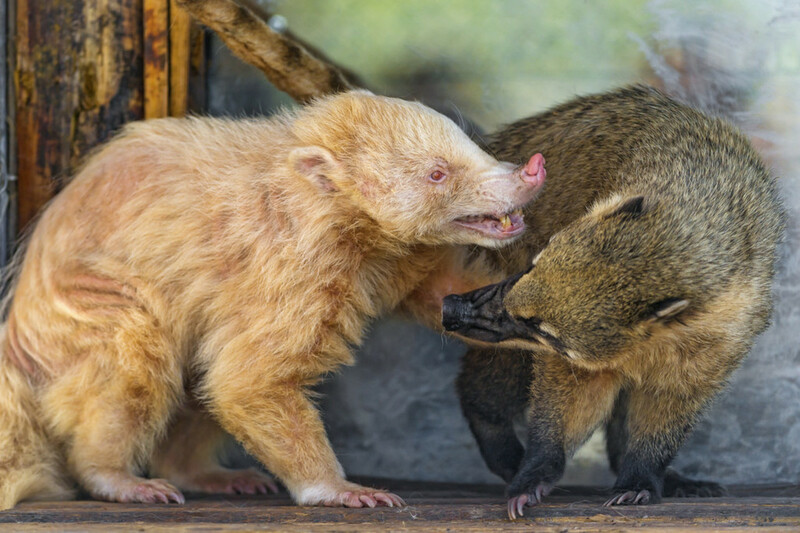 They are considered exotic because they evolved from European Polecats (though people make the common mistake of thinking they evolved from Black Footed Ferrets in the U.S), because of they way they look, and because they require special care. Moose are considered exotic, but the U.S is one of their origins. It's simply because they aren't domesticated. It's odd. I apologize, I sort of veered from your topic to explain my exasperation with the oversimplification of exotic since people misunderstand what it means (or rather, I almost completely missed your topic to share my exasperation). I did thoroughly enjoy your article. M M Cuirs, ferrets are domesticated and somewhat popular, I'm not even sure I consider them exotic but vets certainly do. It's almost as if the word exotic means 'not as common as dogs and cats', which would pretty much include everything except maybe farm animals. What an interesting article. A big issue is the general misunderstanding of what denotes an "exotic" pet. As you said, the list is quite expansive. When people consider what an exotic pet is, they overlook obvious pets because they think exotic means the animal must be from out of the country, but they don't. Ferrets, hedgehogs, and many other common pets are indeed exotic (ferrets are the third most common pet in the world). Someone says exotic and they think tiger. When I was in college for Pre-Veterinary Medicine, my focus was exotic pets because not enough Veterinarians focus on exotic pets (the course work is much more brutal). People thought I was going to care for only foreign animals when in fact I wanted to care for animals like ferrets...and the occasional moose (there's a lot of them where I'm from). People think exotic means not domesticated, which is an oversimplification. Lorraine a chimp is dangerous because it weighs 150 pounds and has 5x the strength of humans, therefore it can toss you or your neighbor around like a throw pillow. The 'WILD' has nothing to do with it and they are equally dangerous first, second, or 50th generation. Your cat is just as 'wild' as any captive-born chimpanzee but fatalities mainly occur to mice and voles. Many animals are social. guinea pigs, rabbits, dogs, horses, nothing new there. Is it OK to selfishly keep these animals? I wish people stopped believing everything they read, wild animals don't have to come from the wild they are animals that have wild instincts still unlike domesticated breed, a chimp born second generation in captivity IS a wild animal an has wild instincts hence makes a dangerous pet. It is also a social animal and it is morally and ethically wrong to keep it as a pet for the selfish want of a person . Exotic animals should not be kept as pets, just because you can doesn't make it right. Great article and information. As a pet lover I appreciate people like you bringing issues like these to peoples attention. SW-- Big Cat Rescue is irrefutable proof that karma doesn't exist. Their shameful lies and increasing donations and influence makes it hard for me to find the motivation to keep speaking out against them. It gets worse with the tiger number- the BCR associates that came to my school claimed that there were 20,000 pet tigers in Texas *alone*. Bah gawd, tigers be comin' out of our ears! (But they're all useless for conservation, of course, don't furgit that) These people are idiots and I don't know why anyone takes them seriously. And - 20 000???!!! Are they really going that far now? The true number however, is about 2800 (according to the FCF) tigers *total*, including all zoos and "sanctuaries". And about 10 000 *wild cats* total, including small servals, bobcats, and presumably, hybrid cats as well.